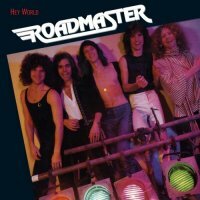 One year on and it's 1979, which finds Roadmaster back in the studio with producer Greg Riker and eager to make a full album in the style of the best tracks from 'Sweet Music'. 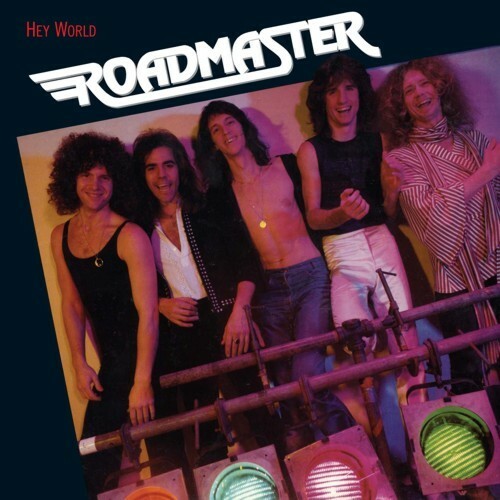 Constant touring had honed Roadmaster into a very tight live outfit and the whole band were contributing to the writing, particularly drummer Bobby Johns who stepped up to write one song on his own and co-write another six. Opening with the swirling Styx-like multi-layered synths of Michael Read, the title track was another pomp classic, its thumping bass-line and pounding drums supporting the layers of guitars, keys and vocal harmonies. 'Hey World' features other infectious pomp rockers like the cleverly arranged 'Never Say Goodbye', the uplifting 'Say You Wanna Be With Me' and the wonderful 'Looking For The Day', each one with hooks aplenty and well-recorded melodic musicianship. There are more guitar-based moments too, particularly the adrenalin burst of 'Us Coming Back' and the direct hard rocker 'My Eyes Have Been Opened', on which Rick Benick shines brightly. The Bobby Johns song 'I'm On My Way' is probably the weakest link, being, possibly intentionally, a psychedelic Beatles pastiche, but the brilliance of the other songs and a terrific vocal performance from Stephen McNally make up for it. If there's a fault with this album it's that it was too short, with just seven medium-length songs, a pleasant but hardly essential instrumental ('Rainbow Waterfall'), and the pseudo-live closer 'Good To Be Back Home', which rocks hard but clocks in at just over a minute and a half. It’s still arguably their best album and sounds better than ever on this re-issue, my only other small gripe being that Dave Reynolds obviously didn’t get to talk to any of this line-up for the sleeve essay, which mostly repeats the text from the ‘Sweet Music’ re-issue and is based around the memories of original singer Asher Benrubi (a.k.a. Adam Smasher) and a 2001 interview with Toby Myers by the knowledgeable George Thatcher from the Glory Daze website.